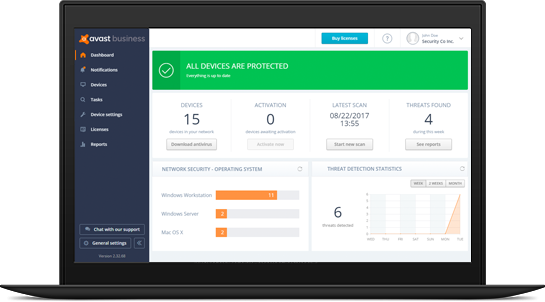 Avast's endpoint antivirus includes over a dozen features dedicated to protecting your business from ransomware, spyware, and other malware. There are more ways than ever for cybercriminals to sneak onto a network. Find and fix whatever weakness might be putting you at risk with our network scanning tool. Saving passwords on your browser is very convenient but leaves you vulnerable to hackers who can steak them access your accounts. Avast Passwords provides easy, secured storage for all your login information in one place, locked behind your master password. All the convenience, without the compromise.